If there was a way to view Divergent in a concise thirty minutes before seeing Insurgent, the experience of watching this franchise so far would be so much better. Insurgent is a step-up from the average Divergent into a series that has much more potential and begins to use some the promise the first movie demonstrated. The unique aspect of the first film was the idea of the five factions. Different factions that each have their own attributes and ideals, like Candor for example – a faction of completely honest, truth-telling people who hold nothing back. Add to this four other factions with similar, unique characteristics and you have a unique world worth delving into further. This was hinted at briefly in the first movie but never really explored beyond the needs of the story, the faction of Dauntless. Here we get to see the impact of at least two other factions and the world in which they inhabit. It makes for a more interesting movie and now the story and world has been established in the first movie, it feels like we can begin to really delve deeper. It means that alongside factions like Candor and Amity, we also get a look a the world of the faction-less and what an existence outside the social hierarchy looks like. The freedom that comes with a lack of any exposition or establishing rules and worlds means we get to the story quicker and the action is much more of the focus. That story revolves around a Mcguffin that is supposedly integral to the whole series so far but was never mentioned in the first movie. Put this to one side and you have a credible reason for Kate Winslet to begin hunting Divergents again and for her to pick-up the role of villain. You have to overlook some plot-holes, (particularly Tris’ desire to kill Winslet’s villain, even though she had the chance previously and didn’t take it), but the film runs smoothly if you can suspend disbelief. In fact, it is Shailene Woodley’s character that takes a more prominent role and actually has some, if somewhat minor, development. The events of the first movie are weighing heavy on her character and some scenes play very well because of this. The entire encounter at the faction of Candor is a high point, with Tris forced to confront home-truths, while demonstrating the promise of the faction system and the world it produces. Other characters get their development too. Miles Teller’s Peter gets to show his villainous side, while Theo James gets to smoulder suitably as love interest Four. He even gets some interesting backstory of his own, with the introduction of a face from the past, played by Naomi Watts. Hers is one of the more interesting characters and is clearly a hold-off for the foreshadowed sequel as she is heavily under-used here. Characters and story aside, the action is much better as well. The best part of Divergent was the training, culminating in quite a dull third act battle but Insurgent offers something better and cleverer. The best part of the first movie was the idea of facing fears and the third act delivers something similar, with much better results and a more focused, accomplished ending to the movie. 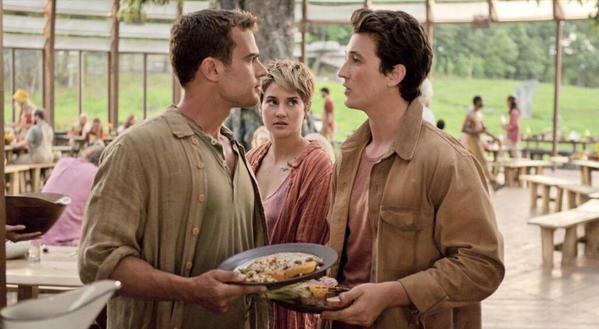 This leads to the biggest compliment you can give Insurgent: I want to see the next chapter. A fitting conclusion is delivered but the promise of what comes next actually intrigues me, much more than the ending of Divergent ever did. If the third movie in the series, Allegiant, can improve as Insurgent did on the first movie in the franchise, we may have something very special. 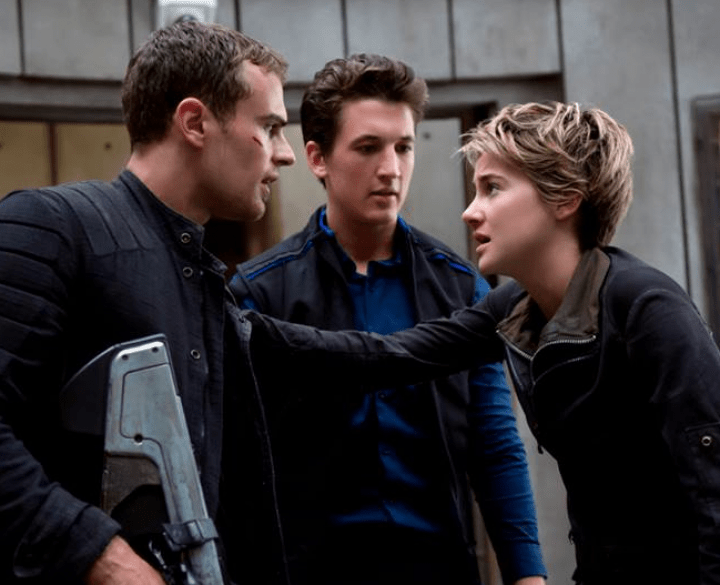 Overall, Insurgent builds on the solid foundation Divergent laid and delves into the more interesting aspects of the world that was only hinted at before. Characters are developed further, the plot is much better and the action delivers where the first film faltered. Whats more, it leaves an interesting conclusion that promises a very different third chapter. I don’t really care for this franchise right now and this is one of the main reasons why. Oh well. Two more movies left. I guess. Nice review. Next Next post: 2015 – The Year of the Spy movie!